Kim Kardashian and Lena Waithe. 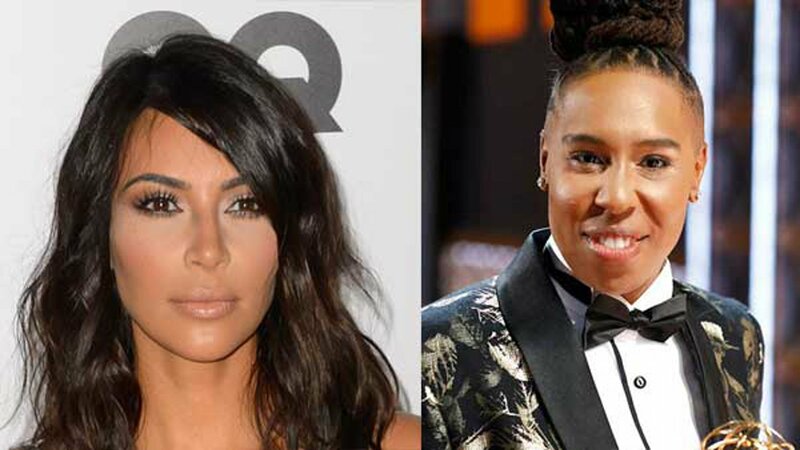 CHICAGO (WLS) -- Kim Kardashian West and Lena Waithe will join a host of inspiring speakers at Chicago Ideas Week this year. They are scheduled for talks at the Harris Theater in Chicago's Loop on Oct. 18 and Oct. 19, respectively. Businesswoman and media mogul Kim Kardashian West will sit down with Pulitzer Prize-winning fashion critic Robin Givhan to talk about building a brand out of personal identity. This talk is scheduled for 4-5 p.m. on Wednesday, Oct. 18. Tickets for this event are currently available for Chicago Ideas members. Tickets for non-members go on sale Sept. 21, 2017. To find out more about this talk, click here. Emmy Award-winning writer and actress Lena Waithe will speak on how women of color are not only finding equal footing in their industries, but also transforming them, through the power of storytelling. Teen Vogue Editor-In-Chief Elaine Welteroth and Uber Chief Brand Officer Bozoma Saint John will also speak during this talk. It's scheduled for 7-8:30 p.m. on Thursday, Oct. 19. Tickets for this event are currently on sale for members and non-members. To buy tickets for this talk and find out more, click here. Chicago Ideas Week runs from Oct. 16-22. For a full schedule of speakers and a chance to buy tickets before they sell out, click here.